From just the first episode of Life is Strange 2 when it released last fall, there was a lot to unpack from the long-awaited next installment of the episodic series from Dontnod Entertainment. By taking place in a new area and following a new set of characters, the first episode (naturally) had to give players a lot of narrative place-setting while focusing on the emotional bond between its pair of brothers, Sean and Daniel Diaz, as they found themselves on the run after a tragedy in suburban Seattle. 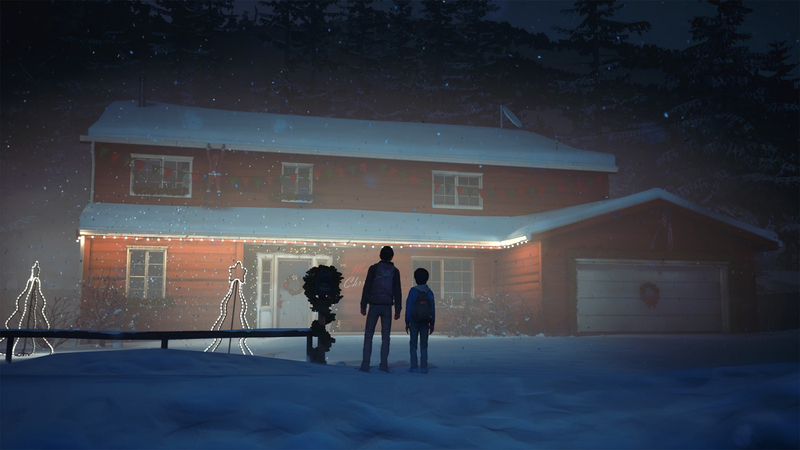 While the first episode started off Life is Strange 2 on a very strong note thanks to its compelling central characters and a story that blended emotion and trauma in the midst of very current and political struggles, the second episode of the series delivers another entertaining installment of the season, even if it hits some snags in trying to build upon its promising narrative. As they were already so easy to admire from the first episode, Life is Strange 2 continues to build up an intriguing story around Sean and Daniel, even though the second episode sometimes falters in where to direct the story next. 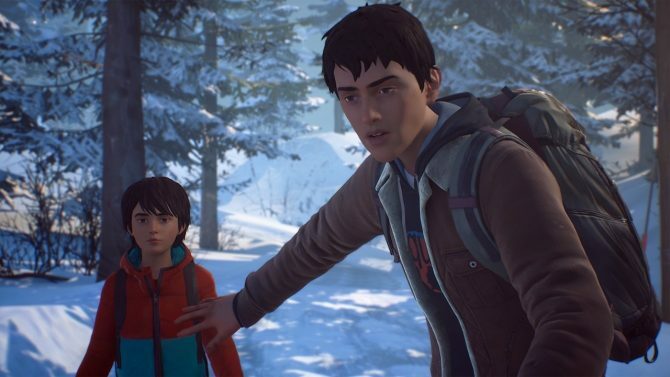 Picking up over a month after the first episode, Life is Strange 2‘s second episode, titled “Rules,” finds Sean and Daniel on their own in the throws of winter. While the two brothers have managed to make their way to a remote cabin in the woods and have (seemingly) managed to fend for themselves, Daniel soon becomes ill which forces Sean to change their course of direction and head to their grandparents’ house in the small town of Beaver Creek, Oregon. After a brief introduction, Sean and Daniel take refuge with their grandparents, Stephen and Claire, in Beaver Creek with (mostly) open arms, despite their lack of communication in the past few years and some uneasy family tension that has lingered. Outside of the introduction of some new characters (especially one that I’ll get into later), Episode 2 largely hones its focus on the Diaz brothers as Sean tries to focus Daniel’s latent telekinetic powers. 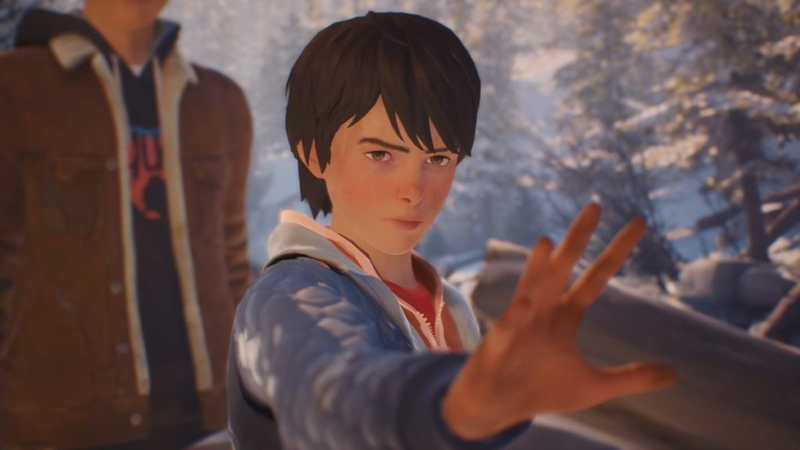 As Daniel’s emerging powers was the big cliffhanger that the first episode left off with, here in the second episode of Life is Strange 2 we (unfortunately) don’t get to fully realize just yet what Daniel is capable of. 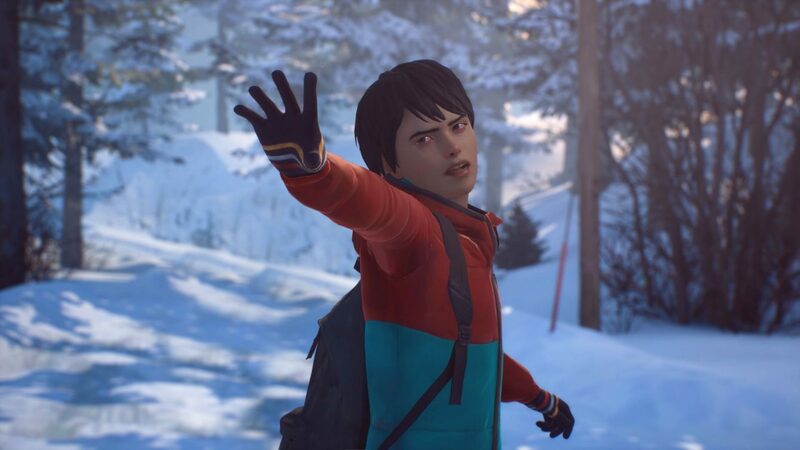 While his powers do get their moments to shine in a few significant moments — especially a devastating one at the episode’s beginning — those coming into Episode 2 hoping for a bit more explanation into why Daniel has these powers might come away disappointed this time around, as that seems like it is being saved for later episodes of Life is Strange 2. Though the supernatural elements of the series take less of a focus, Sean and Daniel’s relationship continues to be the driving force behind Life is Strange 2, and “Rules” especially is no different when it comes to the player having to influence Daniel’s behavior. 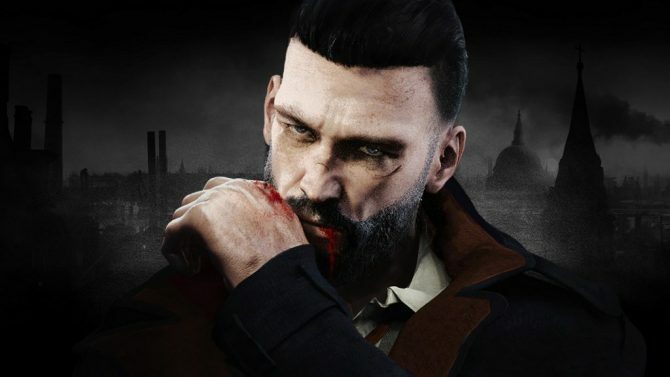 And while Daniel’s powers lack some of the thematic (and gameplay) elements that made Max’s time manipulation abilities so poignant in the first season of Life is Strange, the dynamics of Sean and Daniel’s relationship continues to shine as the player takes on the role of the mentor and protector, making it key to think not only about the decisions that lie ahead, but about how they will impact what Daniel says and does. 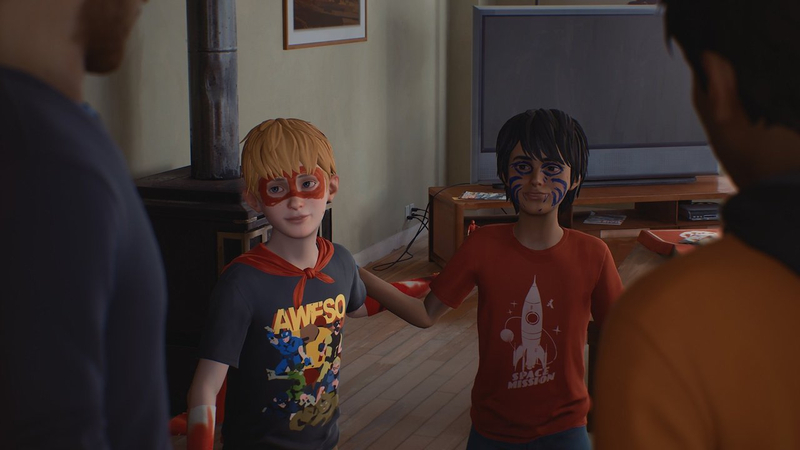 Sean and Daniel’s relationship has (so far) been the strongest element of Life is Strange 2, and while the first episode managed to also effectively introduce some interesting side characters to the story like Brody and Lyla, the second episode feels a bit more uneven in the characters that it introduces to the Diaz brothers’ journey. While Stephen and Claire offer some interesting backstory for the brothers’ backstory by shedding a light on complicated family matters, as characters themselves they fall a bit flat and leave little motivation for wanting to get to know them on a deeper level. This also comes up a bit with the introduction of Chris Eriksen, the spirited young boy that players will remember from last year’s, The Awesome Adventures of Captain Spirit. As that title acted as a sort of prequel/spin-off to Life is Strange 2, the inclusion of Chris and his father into the story is one that initially offered a nice bit of anticipation heading into the release of the second episode, but in execution, I’m not sure how their introduction would play out to those that didn’t play Captain Spirit. While they still remain enjoyable characters from their place in the story, this episode in particular leaves a lot of Chris and his father’s backstory to what was explored in Captain Spirit, so I’d recommend playing that before diving into the second episode for some added context. While the introduction of Chris and Charles to the story is a notable highlight for this entry, the rest of “Rules” takes the Diaz brothers through some more mellow (if relatively uneventful) scenes. Given how much the first episode had focused on Sean and Daniel struggling for survival on their own, the events of the second episode that take place largely in the comforts of the sleepy town of Beaver Creek don’t quite offer the same level of tension and changes to dive into more poignant, thematic elements of the story. With the first episode especially trying to make bold statements on current American politics and social issues, the second episode of Life is Strange 2 feels a bit more muted when it comes to the types of political commentary that made the first episode stand out so much. By and large, Life is Strange 2‘s second episode continues to build the trajectory for the Diaz brothers, as by the episode’s end they end up finding themselves on the road again and inching their way towards their father’s hometown in Mexico. While this installment of the series feels a bit more like a pit stop than a more meaningful destination in the journey for Sean and Daniel, “Rules” still provides enough meaningful, poignant moments that make me look forward to seeing the next leg of the Diaz brothers’ journey, and where they wind up next.